Each day, IT departments face the challenge of accomplishing more with less. Companies cannot give their IT personnel all of the resources needed to keep pace with the ever-growing demands of the network. Budgets tighten. New security threats surface. Business continuity requirements expand. Through all of that, the network’s administrators must ensure that the network has an auditable infrastructure and that it boasts comprehensive security around the clock. Through the years, computer professionals have developed a number of strategies to overcome the burden of a changing landscape and accomplish the necessary tasks. 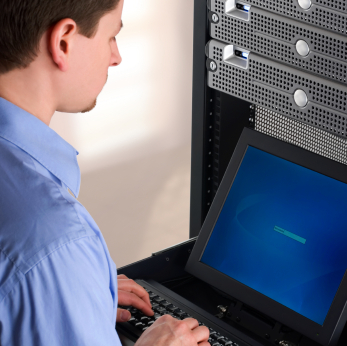 One of the most prevalent strategies is Windows network monitoring. Consider the thermostat that we use in our homes and our offices. It has a sensor to determine the actual temperature within the office or home, and it has an acceptable temperature range. The thermostat monitors the temperature, and then reacts to it when the value has fluctuated outside of that acceptable range. In a basic sense, windows network monitoring is a lot like having a thermostat for each computer on the network. All of these sensors collect information, generally with a focus on danger areas within the network, and consolidates them in a central database for easy access. The IT professionals then use windows network monitoring software to examine and consider the data that the system has collected. They can often use it to identify trouble areas on the network so that they can channel their resources more effectively. However, we also design the modern system to facilitate immediate response when circumstances call for it, and this is where the real power of modern windows network monitoring solutions lies. Earlier we mentioned the thermostat, which will respond to the temperature changes within the home or office or by blowing warm or cool air. A network sensor works similarly. When the sensor detects a value outside of the acceptable range, it reacts. The IT department may have programmed the system to execute a series of programs designed to remedy the problem. However, in many cases, the system simply sounds the alarm. During the earliest Windows network monitoring efforts, administrators often had to work around inherent limitations in the Windows operating system (OS). However, Windows has evolved substantially over the years, and Microsoft has built much of the functionality that network administrators required directly into the operating system. Windows Management Instrumentation (WMI) is a core piece of this modern network monitoring technology that Microsoft has built into Windows. From a technical perspective, WMI is a set of extensions on the Windows Drive Model, a framework for device drivers, which provides an interface to instrumented components for both information and instrumentation. In simpler terms, it is a means of monitoring all the aspects and variables of a particular component in a centralized way. The WMI is a very full-featured as-is, and many small networks as well as advanced home users can simply use the built-in WMI panel for sophisticated access to the network and the computers that comprise it. However, WMI is not powerful enough as-is for many enterprise-level applications, and for this reason, there are many complex and comprehensive Windows network monitoring software suites available on the market. Despite all of their many differences and nuances, they all share one common element. They all leverage the power of Windows Management Instrumentation. The WMI feature set is far too large explore thoroughly in an article of this nature, but we can examine some of the key aspects of the system. Call up the Windows Task Manager and one of the key pieces of information at one’s disposal is CPU usage. This gives the administrator an estimate of how much processing power the computer is expending. The WMI CPU load sensor is quite similar, but the available information is much broader in nature. There are many reasons why network administrators need to know the CPU usage of computer on the network. Most commonly, over-activity is often a sign of a software issue, potentially malware. The WMI memory sensors monitor the amount of free system memory at any given time. This often helps to identify a workstation that is underequipped, but more than that, it gives network administrators an intimate look into memory usage patterns. Much like the CPU load sensor, network administrators use this type of Windows network monitoring to identify software problems and workstations that are experiencing equipment failure. The disk space sensors and other storage sensors allow network administrators to monitor the local storage needs for each workstation. Collected from all the workstations, this data gives the IT department a high-level view of the company’s storage and, more importantly, backup needs. The Windows OS uses the Event Log in order to create a record of all the important operating system events. In the event of failure, administrators use this information to understand why and what type of problem occurred. Administrators can also use the Event Log to uncover patterns, which is quite useful for identifying those failures that do not identify easily. The WMI Event Log sensor allows the network administrators to monitor the log for specific outcomes and then react to them appropriately. Services and process are both running applications. These WMI sensors allow the IT department to monitor a specific service or process on a particular workstation, or to monitor a particular service or process throughout the network. This is often a useful step in identifying sophisticated network issues. Those five WMI sensors are just the tip of the proverbial iceberg. Other WMI sensors for Windows network monitoring include file sensors, custom query sensors, vital system data, and sensors specifically designed for use with Microsoft Exchange Server. Many third-party developers have followed Microsoft’s lead and developed a set of WMI extensions that allow clients to monitor their own enterprise solutions more easily. I am a snow bird, spending 7 or 8 months FL and 4 or 5 months in DE. I worry when we are at one place, that the temp control in the other place might fail. In FL the AC failure could cause mold and mildew, which would be a big problem. The opposite would be true in DE if the furnace would stop, pipes, johns and traps would freeze and burst. So it would be an ease of mind to know that failures would be alerted before big problems occur. Need something not to sophisticated but reliable.